Home / Entertainment / SERIOUS CASE!!! What Do You All Think 2Face Should Do To Make Peace Reign With Blackface? For many years there have been a tough rift between 2Face and Blackface, and it’s not ending anytime soon as he just released a very powerful diss song to blast 2baba. If you can’t really figure any possible solution for 2Face to put in place to settle this prevailing rift between him and 2Baba, you are not alone. I have taken a colossal portion of my time to figure out what and what 2Face Idibia can really put into place to make peace reign between him and his ex brother, Blackface. But nothing forthcoming to my head as a viable solution cause the accusation Blackface Naija on 2face is much. Ranging from drawn-out copyright claims to disregarding his every effort, Even the public is confused as to what the problem of Blackface might really be. Hence, looking from the surface angle, the rift appear as a pure hate coming from Blackface and directed to 2Face, he even went far as calling him a Gay in his new song tittled “War“. This Is Just HATE. The facts are clear though, 2face Idibia is a very successful musician, perhaps the most successful pop artist Nigeria has ever had. He sits just a level below Fela Kuti in mass adoration, and honestly, can never do a wrong. Blackface, on the other hand, is not successful, as his groove didn’t last more than the Plantashun Boizliquidation. His talent as a songwriter is evident in his works though, and at one point, he had a good run. But he is nowhere near 2Face Idibia in talent wise, acceptance, impact and relevancy in the Industry. 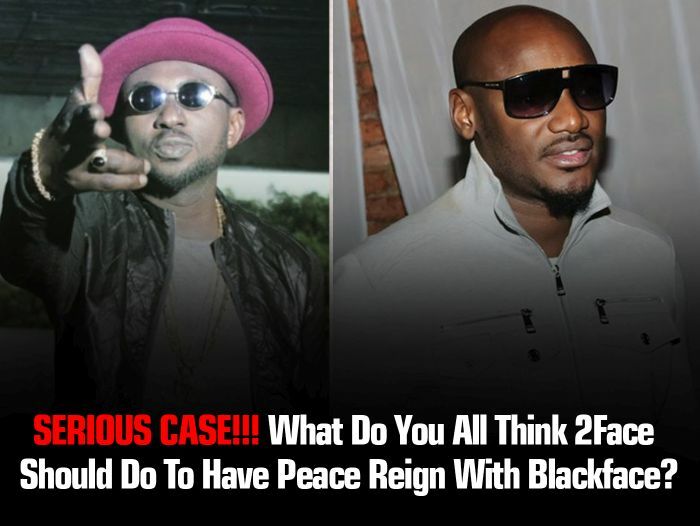 What Do You All Think 2Face Should Do To Have Peace Reign With Blackface? What Do You Think Blackface Really Want From All These Attack On 2Face?